NYC, 04/03/2019, 6:30PM. 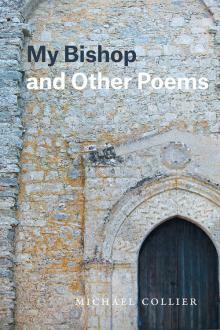 Poetry Forum: My Bishop and Other Poems. Michael Collier is director of the creative writing program at the University of Maryland and the author of seven collections of poetry, including An Individual History, a finalist for the Poet’s Prize, and The Ledge, a finalist for the National Book Critics Circle Award and the Los Angeles Times Book Prize. His new collection was published in 2018 by University of Chicago Press Books.